Week three of my quest to work through my backlog has come to and end and I haven’t made much progress, but I have made some progress nonetheless. Last week, I finished off Pokemon Sun, and after that I didn’t do much gaming for several days. 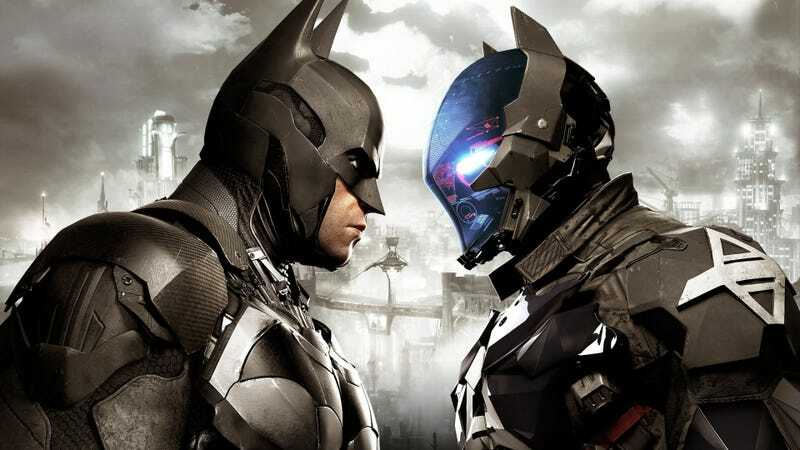 Based off feedback on my last post, I have selected Batman: Arkham Knight, the third of Rocksteady’s excellent Batman games, as my next game to finish. Coming back to Arkham Knight, I found I wasn’t nearly as far into the game as I thought I was. It’s been so long since I last played it that my memories of playing seem like a longer stretch of time. Upon firing the game up, I found that I was only 9% into the game. I had just finished a major plot point so I just jumped right back in. For one mission, at least, because as soon as that mission finished, I triggered the Riddler’s mission series and decided to tackle that instead. I enjoyed the Riddler’s puzzling challenges in the previous games so I was feeling it. I made some good progress there before I couldn’t keep working the case until I progressed further into the story and was able to get the Batmobile onto the next island. I went back to the main story for a bit, then jumped back to the Riddler missions until I once again could not progress further. From there, I went back to the main story for a while, as well as doing a few side missions as well. As of this posting I am now about 25% through the game. As with Arkham City and Arkham Origins, I’m probably going to shoot for that 100% completion, but that’s still a ways off. Coming back to this game, I have to say I forgot how fun the Arkham games are. I’m having a good time with Knight so far, and I’m even enjoying the Batmobile segments, which I’ve heard many people say they didn’t like that much. Ii think it’s going to be a fun time working on my backlog for the next couple of weeks!